Professor Dr. Matthias Neubert of Johannes Gutenberg University Mainz, Germany has been awarded funding of over €2.1 million by the European Research Council (ERC) for his research in theoretical high-energy physics. In early 2007, Neubert came from Cornell University to Mainz and currently holds the Chair of Theoretical Elementary Particle Physics. He had proposed a project to the European Research Council in which he would explore fundamental questions of physics with regard to the origins of electroweak symmetry breaking and the characteristics of elementary particles known as "flavor". 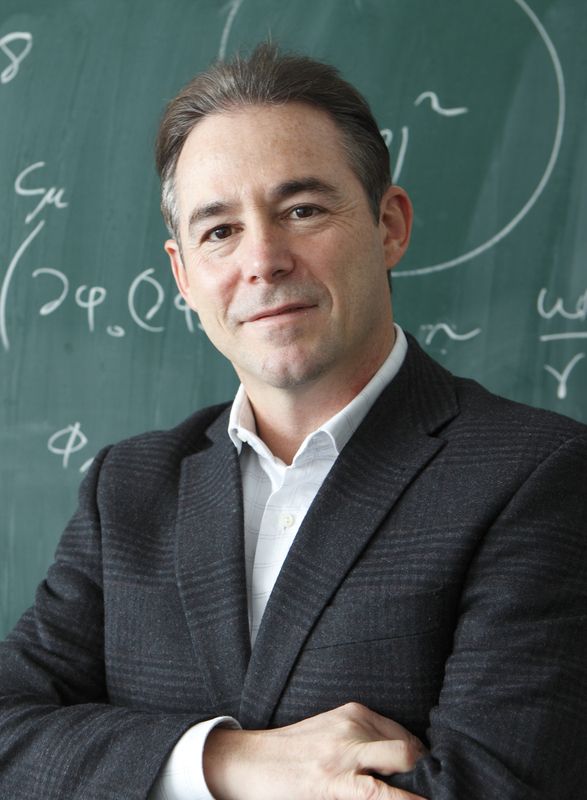 Neubert plans to investigate how the fundamental laws of nature operate at subatomic scales of only 10-21 meter by comparing precision calculations of quantum effects with the data supplied by the CERN Large Hadron Collider (LHC) in Geneva. Neubert received an ERC Advanced Grant, which is one of the most highly regarded funding measures of the European Union and is only awarded to internationally outstanding researchers. The project, entitled "An effective field-theory assault on the zeptometer scale: Exploring the origins of flavor and electroweak symmetry breaking," will be funded for five years starting in 2012. The results should make it possible to provide more accurate predictions for LHC experiments than at present. This, in turn, could help to discover hints of "New Physics" beyond the current Standard Model of particle physics, which is the primary goal of the experiments performed using the accelerator in Geneva. "The LHC has been designed to enable us to study electroweak symmetry breaking at tiny distances on the attometer scale," explains Matthias Neubert. An attometer is equivalent to 10-18 meter or one billionth of a billionth of one meter. "Because our current high-energy physics experiments are not providing us with clear evidence of the existence of new particles, it could be that we will only detect such new phenomena by exploring even smaller length scales." It is possible that these could be identified by means of indirect methods. "To investigate these physical phenomena and thus the deepest structures of the matter that makes up our world on these small scales - something which people have not had access to as yet - we need pioneering breakthroughs in theoretical physics," says Neubert. Professor Matthias Neubert's work in theoretical high-energy physics is integrated in the Cluster of Excellence "Precision Physics, Fundamental Interactions, and Structure of Matter (PRISMA)," which has successfully made it into the final selection round of the German Excellence Initiative. Neubert and physicist Professor Dr. Hartmut Wittig are PRISMA's spokespersons. Furthermore, Neubert heads the Research Training Group "Symmetry breaking in fundamental interactions" funded by the German Research Foundation and is director of the Gutenberg Research College of Mainz University. He is one of the most frequently cited German theoretical physicists and published more than 150 articles in scientific journals. ERC Advanced Grants are awarded to outstanding scientists to conduct projects considered to be highly speculative due their innovative approach, but which, because of this, can open up new paths in the respective research field. The grant is awarded to excellent researchers who have a track-record of significant research achievements in the past 10 years. The only criteria considered when deciding to award ERC funding are the scientific excellence of the researcher in question and the nature of their research project. An ERC grant thus represents recognition of the recipient's individual work.